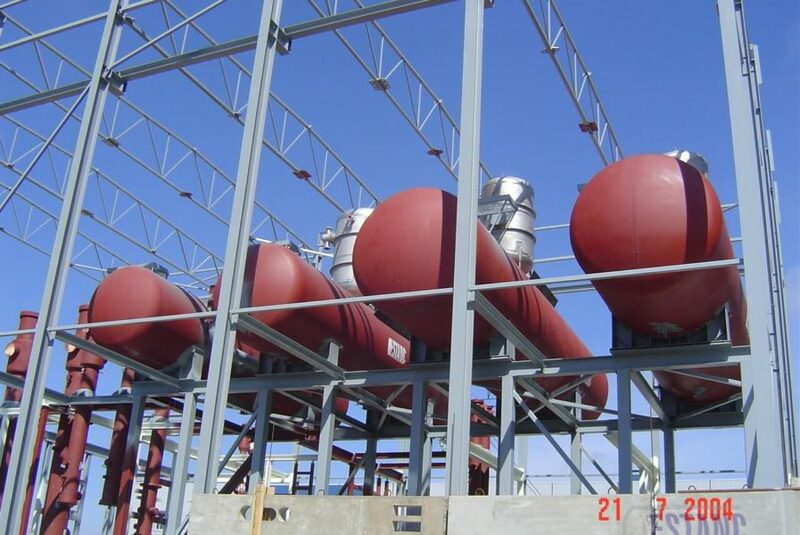 Feed water tank are vessels that are used for degassing oxygen and carbon dioxide from water and if the gases are not removed they can cause corrosion. 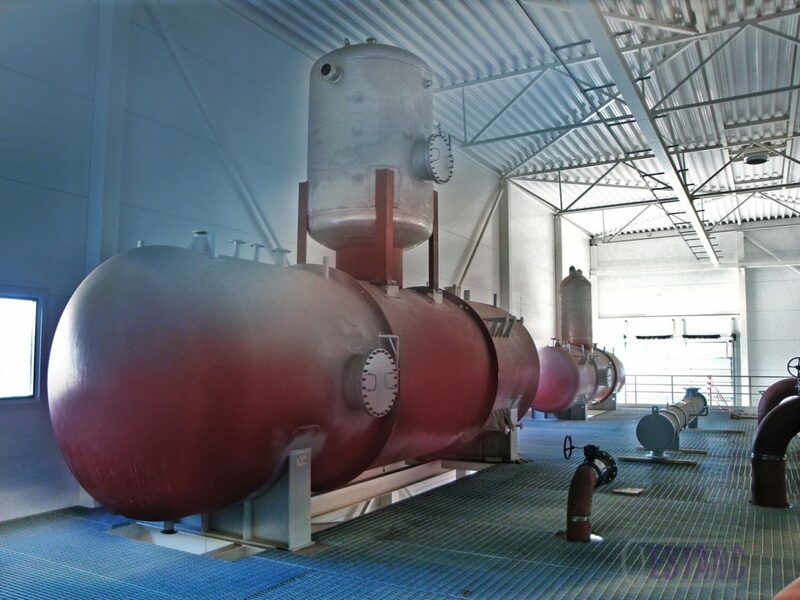 These kinds of vessels are mainly used in the boiler houses, where they are used to degas the water that is directed into the boiler system. 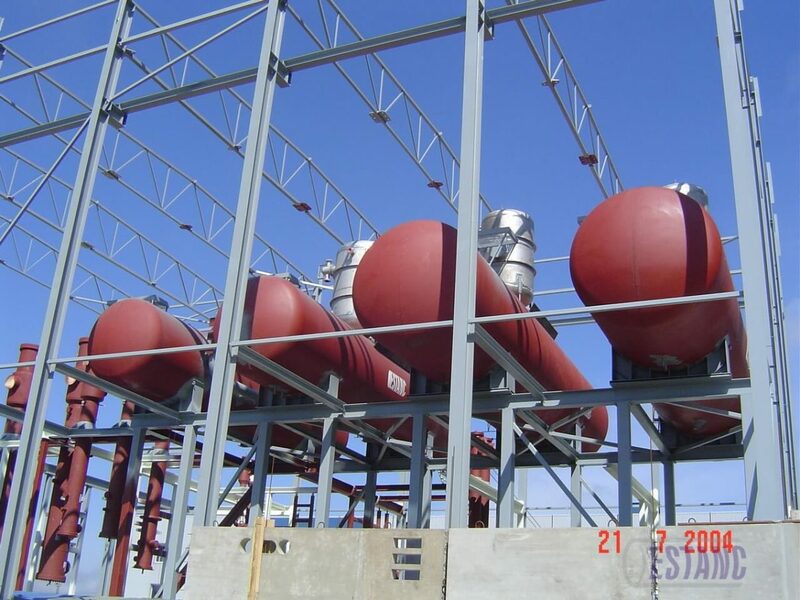 Feedwater tank with a headpiece has proved it’s quality and usefulness over time. 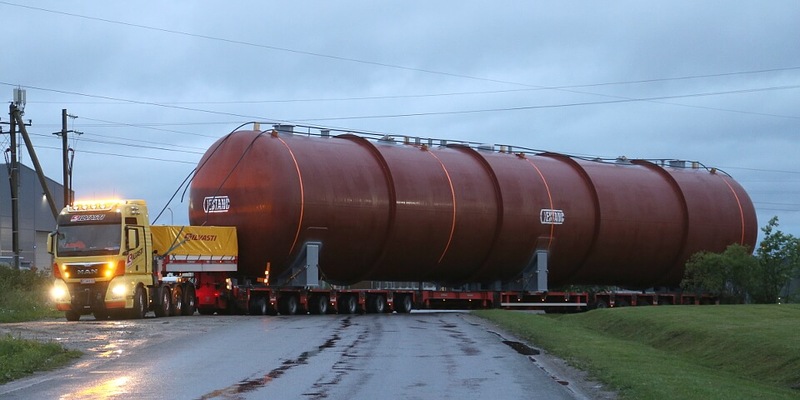 Because of their respective sizes the downside of a headed feedwater tank is that the head and the body have to be transported separately, assembled and welded on the site. 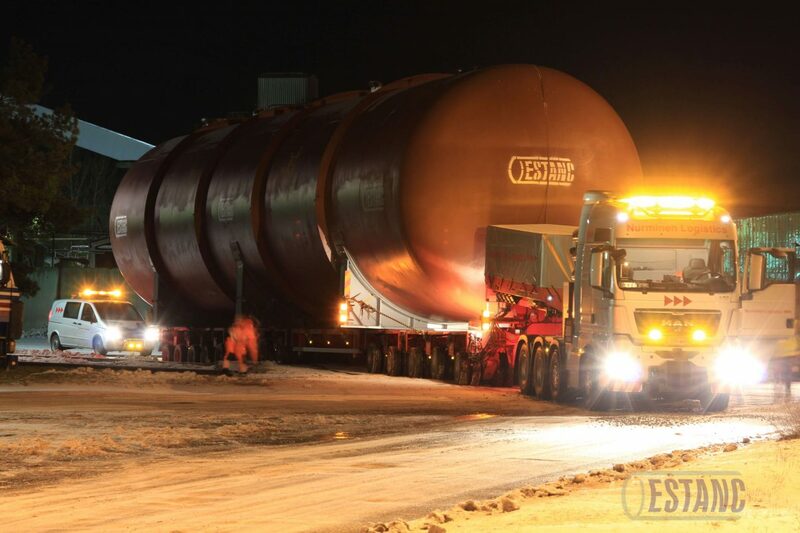 In powerplants these vessels are lifted to the height of 20+ meters. Material for the headpiece is usually stainless steel and vessels inner parts are made out of acidproof stainless steel. 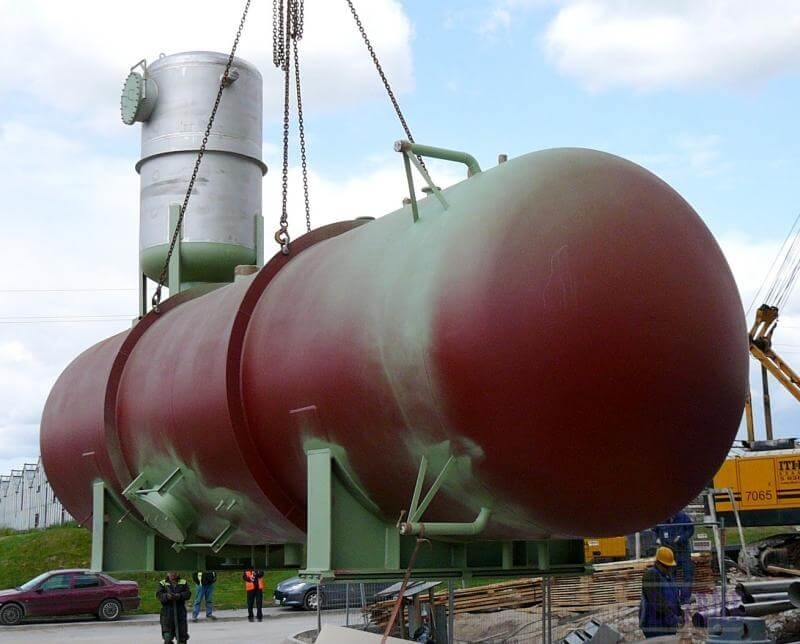 For bigger vessels special carbon steel for pressure vessels is used. In Stork type vessels, the process happens inside the tank. 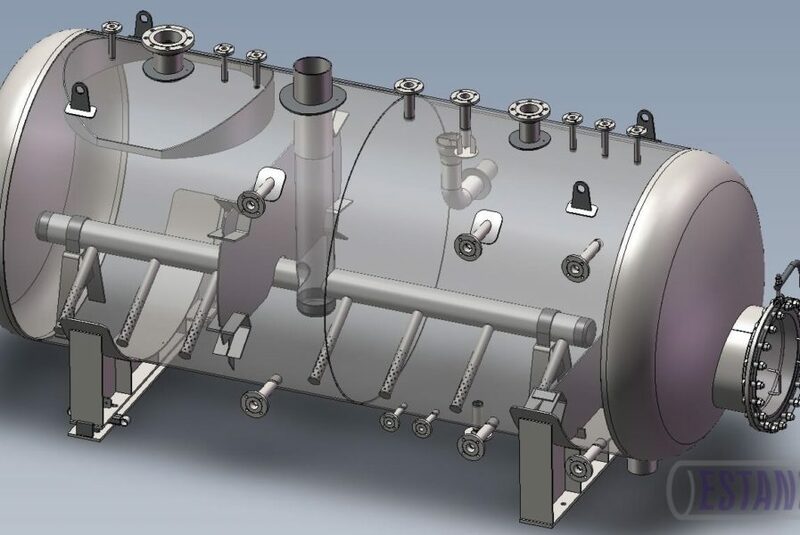 With a system contained of a special nozzle and divided chambers the same result is achieved than with the headed version. 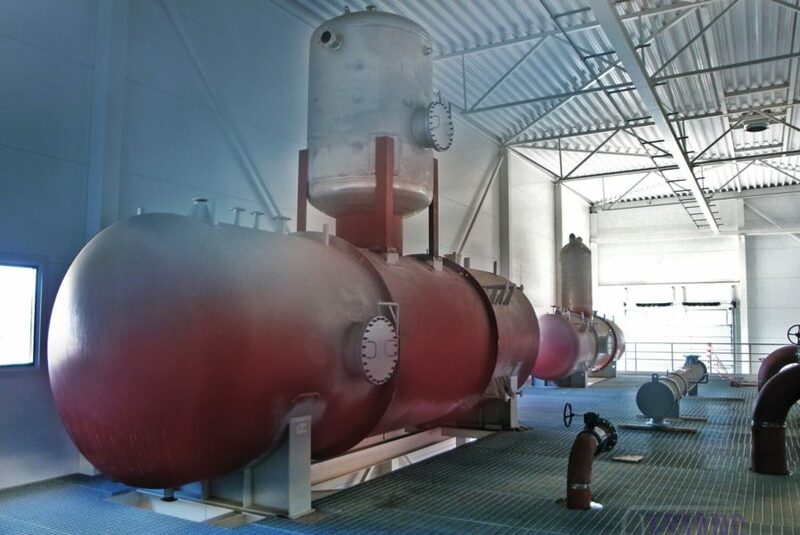 Substances creating corrosion are separated from the water to the boiler and the generator. 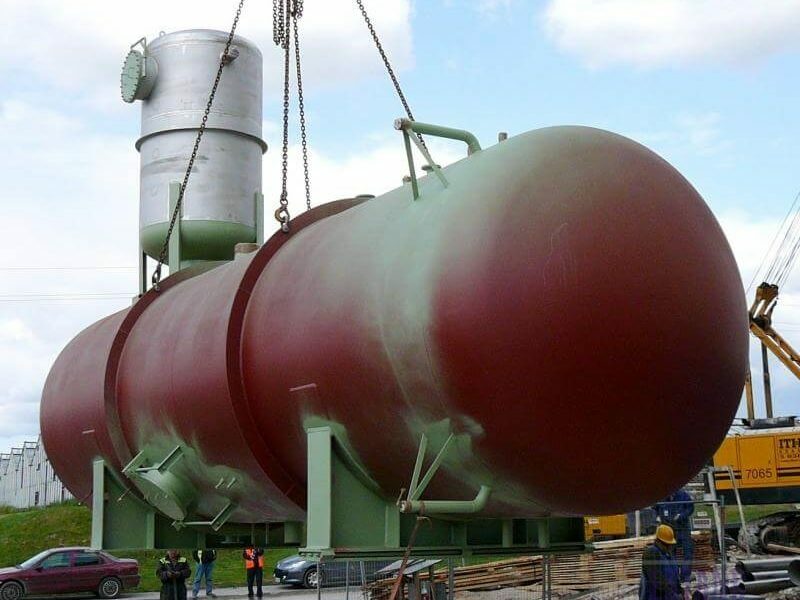 Advantage of this solution is smaller height of the vessel. 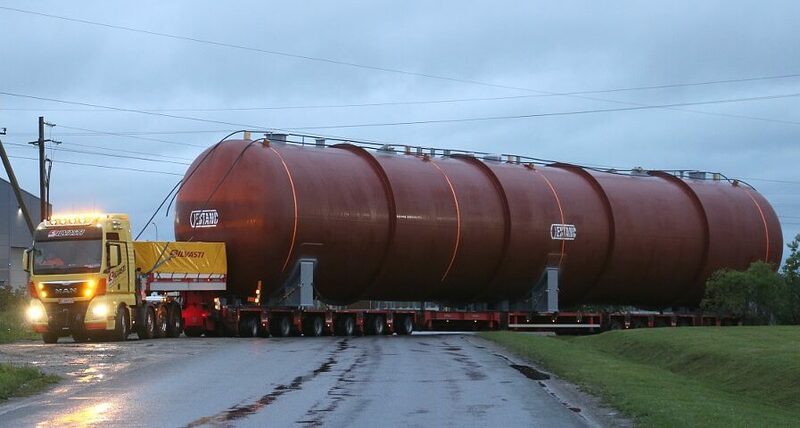 Disadvantage is smaller volume of the vessel. The cost-efficiency of these types of vessels starts to show after 100 m³ because of the price of a nozzle. 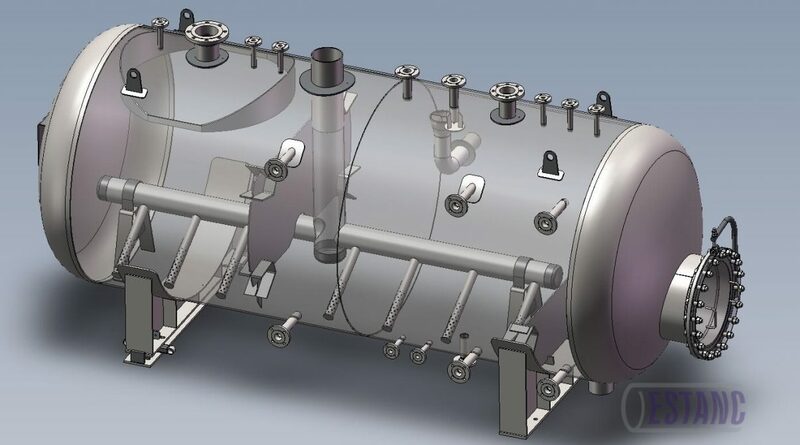 It will bring cost advantage then because it gets cheaper than the costs of manufacturing and material costs of the tank head. We have manufactured 29 Stork type vessels from year 2007. 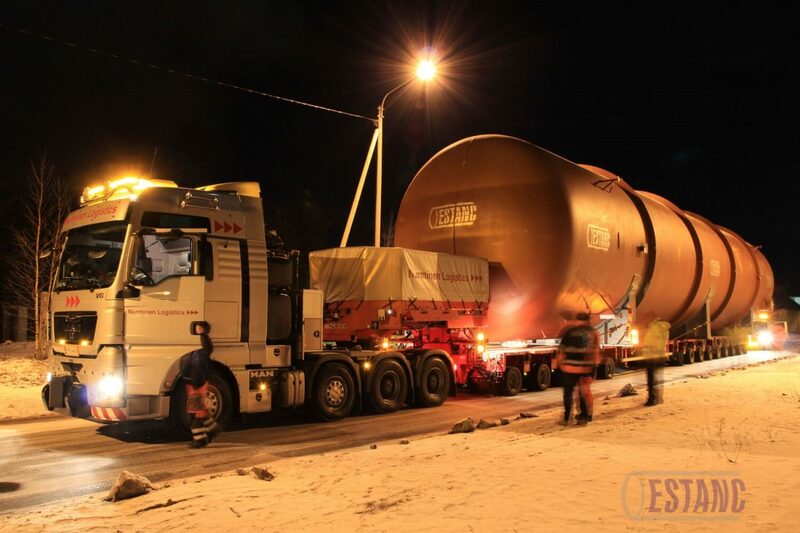 The biggest one was finished in 2016 summer, has a volume of 702 cubic meters, weighs 136 tons, has a diameter of 5,5 meters and length of 31 meters. 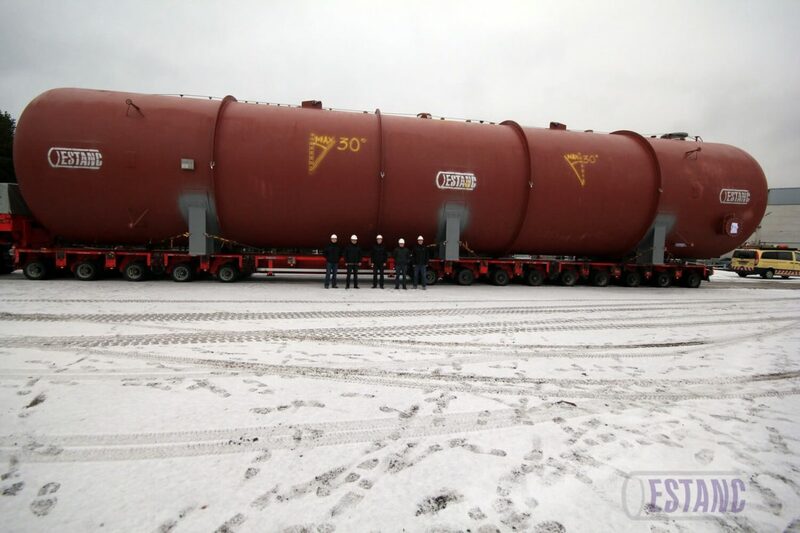 The height of the vessel along with stands is 6,25 meters.. The smallest on the other hand is 11 cubic meters, weighs 3,8 tons, has a diameter of 1,8 meters and length of 5,1 meters. The height of the vessel is 2,2 meters.